Special sale price- 2 copies will be mailed at the purchase of the on-line price for one. Debra Korluka was born and raised in the Russian Orthodox Church in America. The past 25 years of her life have been devoted to art, 15 to iconography. 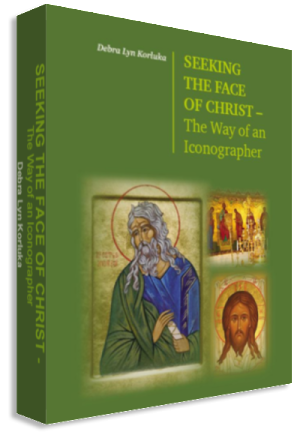 She was invited to be an author of her own album of works into a book which contains 129 full color images and an introduction about her life in iconography. The forthcoming book is the fruit of Debra’s many years of labor, the result of her sincere and deeply personal search for Jesus.